Post-workout supplements are scientifically designed to maximize recovery, restore lost energy, reduce fatigue, and encourage more lean muscle growth to ensure unreal results. These supplements provide optimal nutrients your body craves to grow stronger and leaner. Post-workout supplements deliver the exact ingredients that aid muscle recovery, reduce muscle soreness, re-hydrate the body, restore depleted glyocgen levels, support immune system health, and increase overall muscle protein synthesis (muscle growth). These supplements are not necessarily muscle builders, although they allow your body to recovery faster and more effectively which means a greater capacity for intense workouts. This can potentially help over the long-term. Being able to fully recovery after every workout will lead to greater fat loss and muscle gains. More frequent workouts can lead to greater strength gains and lower body fat percentage. Refueling tired muscles after strenuous exercise has been shown to increase skeletal muscle mass, improve lean body mass, and repair damaged muscle fibers. Stronger muscles, lower body fat, and overall better looking body. Modern post-workout supplements are very advanced and failing to take advantage of these supplements is seen to be a beginner mistake according to professional fitness models and athletes. This is why a majority of modern gym goers choose to add post-workout supplementation into their daily fitness ritual. Branch chain amino acids – A 2:1:1 ratio is ideal to stimulate muscle protein synthesis. Creatine – 5grams is recommended daily for strength,power and muscle growth. Citrulline -Increases NO production and improves blood flow for more effective nutrient delivery. Beta-Alanine – 2g-5g for maximum physical performance benefits. Betaine – Increases protein synthesis and promotes muscle strength. Glutamine – Important for muscle recovery and growth. Fast Digesting Carbs – Fast carbs, such as dextrose, replenish your bodies muscle glycogen, leading to better recovery. Protein – Protein gives your muscles the nutrients it needs to grow. Majority of post-workout recovery supplements don’t include protein so make sure you’re supplementing it on the side or through diet. Brand – Choosing a post-workout supplement made by a highly respected and reptuable brand is one of the best ways to ensure you’re getting a high quality product. The older the company the better, too, a lot of products are produced by over night brands that enter the market just for the money. Going with a top brand is the safest way to ensure a quality product. Taste and Mix-Ability – Mix-ability and taste are two very important features. The main reason is this: If you aren’t going to enjoy drinking your supplement you’ll end up not even taking it. This is a huge waste of money and time. Go with something that you know you’ll enjoy taking. 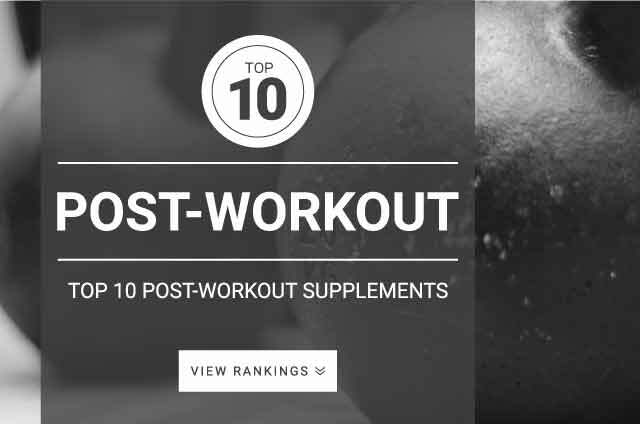 Who Is A Post-Workout Supplement Best For? These supplements are made with the intention of helping athletes recovery and grow stronger. At one point these products were only available to professional athletes like basketball players and top fitness athletes. They can truly help support anyone looking for ways to increase their performance whether that be gaining muscle or losing weight. Post workout nutrition is taken very seriously by a majority of the top performing athletes in the world due to the importance of proper after workout recovery. Made with ingredients that fuel recovery and muscle repair there doesn’t seem to be any reason not to give these supplements at least one try. Similar to mutli-vitamins they are a combination of the best researched ingredients proven to aid recovery. With a consistent exercise regimen and proper diet you will propel your body way ahead of anything you could have imagined. Next time you hit the gym make sure you have your post-workout supplement on hand to maximize your results and to give your body the nutrients it needs to get the body you want! Consuming your post-workout supplement 30 minutes after every workout is seen as the best window for optimal performance and muscle growth benefits. Following proper manufacturer’s recommendations for dosage and supplementation timing is always best (every product is a little different). These instructions are found on the supplement package itself. How do I find the right post workout supplement? Are there any side effects to be aware of when taking post workout supplements? What are the benefits of taking a post-workout supplement? What should I look for in a post-workout supplement? How will post workout supplements help my body?